More and more of us are using our mobile phone to call utility companies and banks when on the move rather than waiting until we get home to use our landline and if you have just moved or a renting, you may not have a landline installed. So with many companies using 0800, 0808, 0870, 0845 and 03 numbers for their customer services team, we all risk extortionate and frustrating call charges, as it can cost up to 35p per minute to call these numbers from many Pay As You Go and Pay Monthly mobile phones. 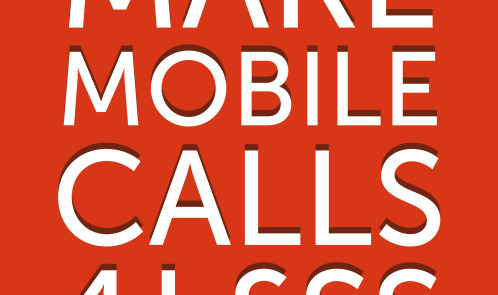 If you don’t have a number for the company, makemobilecalls4less.com has a business directory that can help you find one. They’ve carried out new research that has found that over half of mobile phone users are confused by the different business numbers companies use and 66% have ended a call once hearing that their call will cost them ‘considerably more’ from their mobile. Worryingly, nearly a third of consumers have also ignored a security or financial issue because of the cost of calling their bank from a mobile. The fact that you can now save up to 70% on mobile charges if you need to call a utility company, bank or any business using these numbers means that you’ll have peace of mind the call won’t cost you a fortune. Over a third of consumers have delayed calls to companies because they wanted to wait until they were able to use a landline – don’t be one of them! Call companies at times that are best for you and ensure you can reach them during their opening times. Calls to 03 numbers cost the same as calling 01 and 02 numbers and count towards inclusive allowances on landlines and on mobiles. This Ofcom rule has been in place since these numbers were introduced in 2007. Since 13 June 2014 retailers, traders and passenger transport companies are required to use 01, 02, 03 or 080 numbers for any post-sales helplines. Most have now complied with Regulation 41 of the Consumer Contracts Regulations 2013. Government departments and their agencies are also making the change from 0845 numbers to 0345 and 0300 numbers as recommended by the Cabinet Office in December 2013. Most banks have also made the change from 0845 to 0345 numbers ahead of new regulation from the FCA that will come into effect in summer 2015. Insurance companies have been slower to act. Calls to 0800 and 0808 numbers have cost up to 40p per minute from mobile phones. The good news is that from 1 July 2015 these calls will be FREE from all mobile phones. From the same date, all users of 084, 087 and 09 numbers are required to declare their Service Charge. This should cause a rethink where these numbers are currently being used for sales and pre-sales enquiry lines. Yes 0800 numbers are now free from mobiles but most UK companies are now using numbers starting 03. That's great if you have a contract phone but if you're using one of the 30 million Pay As You Go phones then it costs up to 30p per minute to call 03 numbers which then put you in a queue. That's why I use 84800 www.makemobilecalls4less.com. I can also use 84800 to call my family and friends anytime in Spain or USA for 10p from my mobile without having to go and buy a calling card or any other fuss. While some pay-as-you-go tariffs may charge up to 30p per minute for calls to 01, 02 and 03 numbers there are plenty of others with call charges of 3p, 5p or 8p per minute. Even better value for money can be had by getting a pay-as-you-go 'bundle' or 'bolt-on'. These often have allowances around 200 minutes and 300 texts for £5 or perhaps 500 minutes and 1000 texts for £10.